1. How would you describe yourself? This is your opportunity to demonstrate your strength and abilities. Depending on who is asking the question you may need to adapt your responses. 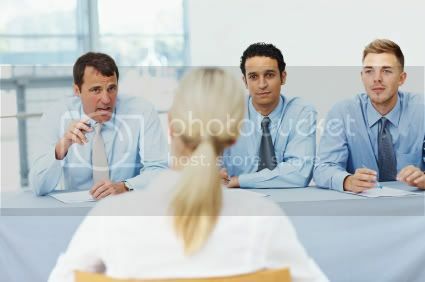 If the person asking the question is a human resources manager their views and expectations would be different from a senior vice president. To answer this question focus on what the questioner wants in an employee. Senior leadership want people who are self starters, who look for better ways of achieving results, are capable and responsible. While a human resources manager will focus more on your personal characteristics and ability to work with others. Talk about yourself and your personal attributes and relate them to your accomplishments in previous roles. 2. What are your goals and aspirations? The interviewer is interested in your career direction rather than your desire or dream to become an astronaut. Focus on your career expectations and where you want to be in five years time. What personal goals do you set yourself that will make you a better employee? Consider what you like to do outside of work that can make a valid contribution as a valuable employee. 3. Why do you think you would be right for this role? This question requires some thought and preparation. What are the goals, direction and mission of the company? An employer is looking for an employee who has similar ideas, goals and motivation as the company. Research the company; look at the website, product brochures and what they do in the community. From this information you will be able to craft a response that is compatible and in alignment with the corporate direction and values. Other useful sources of information are current employees, newspapers and magazine articles.